What car would you buy in 1938? Rules: The car had to be sold new in 1938. For me I would pick the 1938 Lincoln Model K. The car had a 414 cubic inch V12 producing 150hp. 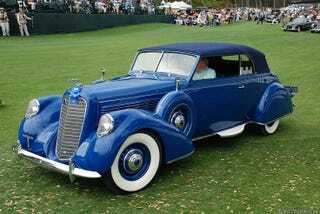 It is really a beautiful car that stood out against the Packards and Cadillacs of the late 30s.